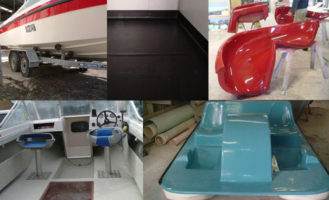 "Insurance work on boats, caravans, farm machinery and tanks are welcome and a specialty"
"We're ready to help, and look forward to assisting with your enquiry"
30+ years of repairing all kinds of FRP products has given Ajay technicians extensive experience. You can be sure that if we can’t repair the product, we will give the necessary advice. Insurance work on boats, caravans, farm machinery and tanks are welcome and a specialty. We service the local Northern Rivers area (Lismore, Ballina, Byron Bay, Grafton) as well as locations further afield, such as Tweed heads, the Gold Coast, Brisbane and beyond. Contact us for an obligation free quote.